It was quite random that I met Ruben Parera of Finca Parera one day. Albert Costa of Vall Llach was doing a pruning and grafting tour for the father and son team of Archè Pagés in DO Empordà and were visiting a vineyard of old vines that Albert is working to recuperate. At some point along the way, Ruben came down to join the visit as I encountered him in the fermentation cellar of Vall Llach tasting the new Escanyavella wine in Albert’s “dones de Porrera” series. I learned that Ruben and Albert were friends from school and it was easy to see why as they are both outgoing, youthful winemakers set on experimentation. While I had tasted the Finca Parera wines sometime back, I wasn’t aware of this side to Ruben’s wine work in that he maintains a small, experimental vineyard. There, he attempts to cultivate various clones as well as nearly lost varieties from Catalonia. He even had a load of trimmings from Priorat that he was taking back to work with. As much as I wasn’t aware of Ruben’s work, he was equally unaware of mine and so I gave him some of the Vinologue books to take back and enjoy. While very much from the Barcelona Province in terms of mannerisms, I found Ruben to be much more genuine than those “de Can Fanga” (countryside slang for Barcelona) and as such, he refused to be gifted the books and insisted I take a box of his Faust 1.0 wine. In case you weren’t aware, I do indeed enjoy wine, a lot, but I don’t often drink reds from Penedès as they’re usually guilty of using too many foreign varieties (ex. the Vi de Finca of Jean Leon only has French varieties) and so the results are muddled. 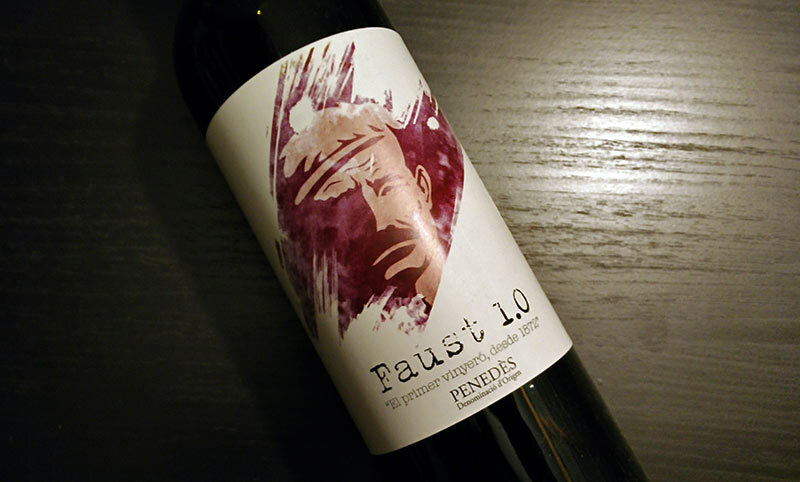 While this Faust 1.0 does have Cab Sauv and Merlot, it also has Tempranillo and most importantly, Grenache. It’s also from vineyards in Alt Penedès which is the higher elevations of the appellation that tend to present much more interesting wines. In this case, the vineyards are at 350m and are all certified organic. The wine was made via natural fermentation with yeasts gathered in the vineyard. I really didn’t want to like this wine but whether it’s Ruben’s charm or some other combination of things, this is a damned fine bottle of wine at a very reasonable price for what it is that’s worth seeking out. Dark red cherry and chalky notes along with cured red apples and an underlying toast aspect. Medium body, medium acidity with the apple notes more prevalent and lingering in to the finish. Well-rounded and integrated.